With their soft, sweet flavour and smooth texture, mussels from Boston Bay in Port Lincoln have become a favourite of chefs and foodies Australia-wide. The largest mussel farming region in Australia, producing approximately 1600 tonnes per annum, Boston Bay offering unique micro-climates with vast volumes of protected, free-flowing oceanic water filled with naturally high levels of nutrients, allowing farmers to produce high-quality, fast-growing mussels. 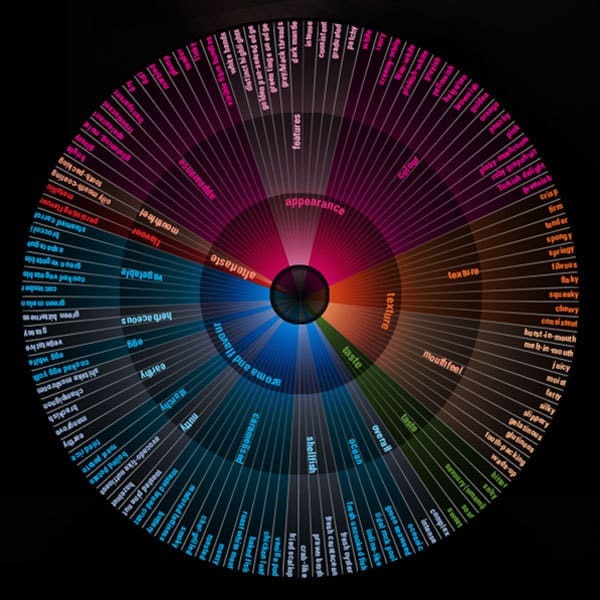 These perfect growing conditions are supported by fully integrated growing, catching, processing and marketing companies. Boston Bay mussel farmers independently manage multiple sites around the bay to ensure the delivery of a high-quality mussel year round. With extensive quality checks from harvest to pack, the mussels are processed within hours of harvest using a combination of traditional handling and contemporary technology. Marine and land-based operations are continually reviewed and, where necessary, modified to improve the final eating quality of the mussels. 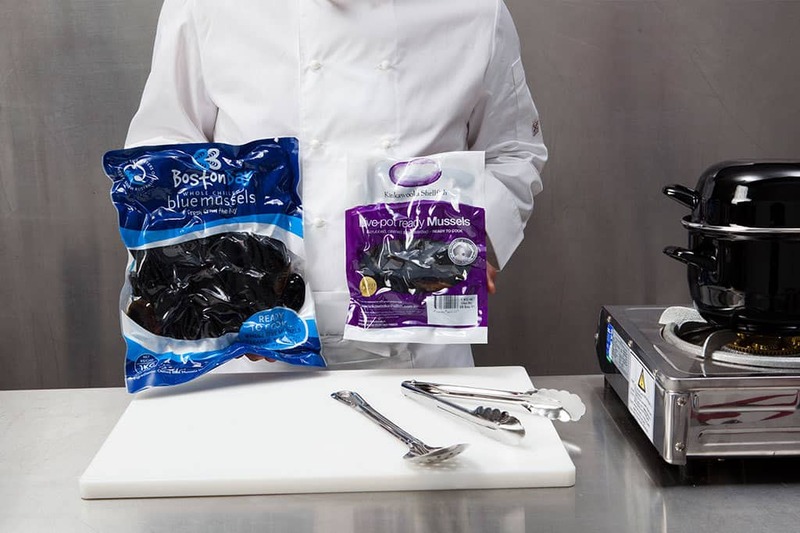 Today, three producers – Kinkawooka, Boston Bay Mussels and Spencer Gulf Mussels – sell mussels in convenient, vacuum-packed, 1kg bags, providing a first-class, ‘pot ready’ seafood product to home cooks and the trade. Though Blue Mussels have been growing wild on the Eyre Peninsula for 6,000 years, commercial mussel farming didn’t commence in Boston Bay until the mid 1990s. The introduction of sustainable aquaculture practices in 2000 saw mussels sold in bulk 10kg foam eskies. The fast-growing but relatively fragile blue mussel was delicious direct from the pristine waters of Boston Bay, but the eating quality, weight and, consequently, value of the mussel declined as it travelled from the bay to the end user. In 2004, Kinkawooka Shellfish launched a pre-packed, live and cleaned mussel in 1kg vacuum-packed bags, revolutionising the industry by offering consumers and trade an extended shelf-life of ten days from harvest. 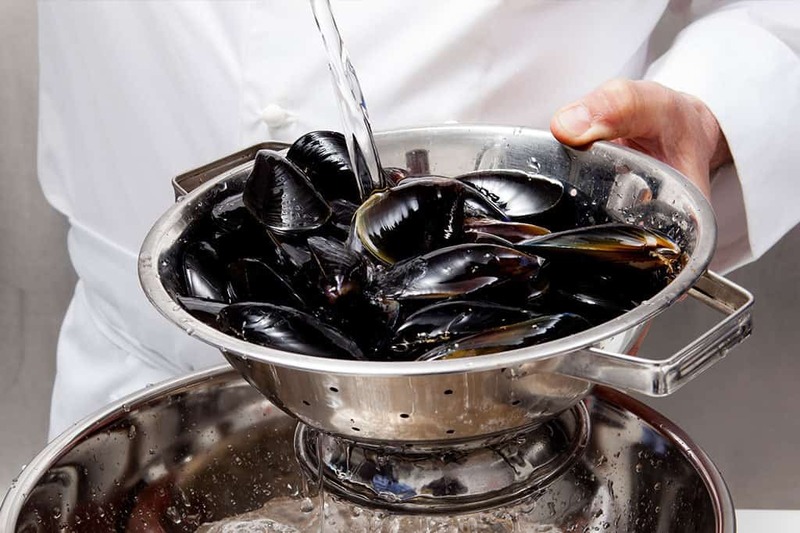 Packed in a mix of their natural liquor and seawater, the mussels are kept in premium condition. All three brands “Kinkawooka” “Boston Bay Mussels” “Spencer Gulf Mussels” all now offer specialised vacuum packed product. 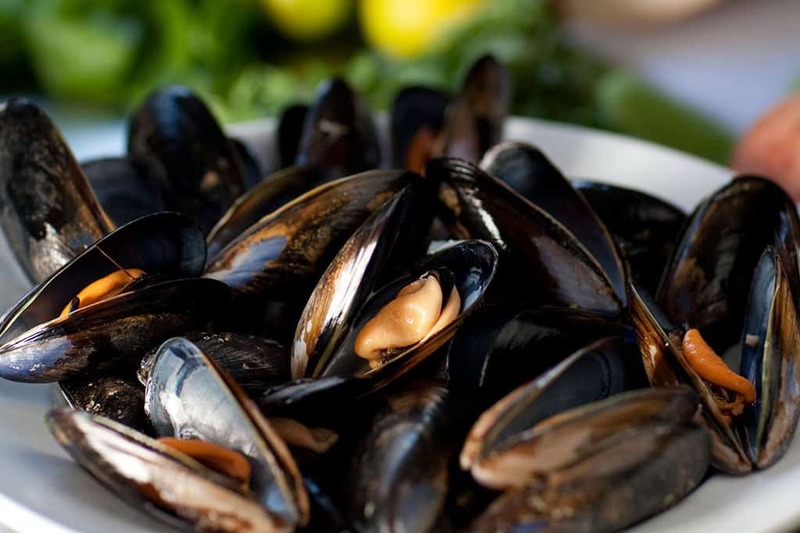 The mussel industry is governed by the South Australian Shellfish Quality Assurance Program (SASQAP) – established in 1994 as a joint initiative between the Department of Primary Industries and Resources (PIRSA) and the shellfish industy of South Australia. This program has become the benchmark for shellfish quality assurance programs nationally and underpins the guarantee of sustainability, safety and quality of all mussels produced in Boston Bay. Boston Bay mussels are grown on suspended ropes, not on the seabed, as rope-cultured mussels produce a cleaner and more consistent product than seabed-cultured mussels. Daily monitoring of water temperatures, nutrients and mussel condition across all growing areas ensures that only mussels in premium condition are harvested. A distinct advantage of mussel farming in Boston Bay is the ease with which farmers can catch the natural spat, reducing the need for the more costly and time-consuming use of hatchery grown spat. After mussels spawn, the spat float around the nutrient-rich waters for a few weeks before settling down together, clustering in dense communities on the ropes under the water’s surface. Investment by local industry leaders in market research and product development has resulted in several processing and packaging innovations that have generated significant improvements to product quality and shelf-life. For example, Port Lincoln land-based processing factories have specially designed systems to produce live mussel products. A unique and innovative feature of the production line is a section that removes the mussel’s beard (a hair-like substance protruding from the shell that is used to attach the shellfish to the rope). This innovation has been well-received by both the restaurant trade and consumers. In addition, the processing line slows the animals’ metabolism using chilled seawater, producing a convenient vacuum-packed 1kg mussel bag. 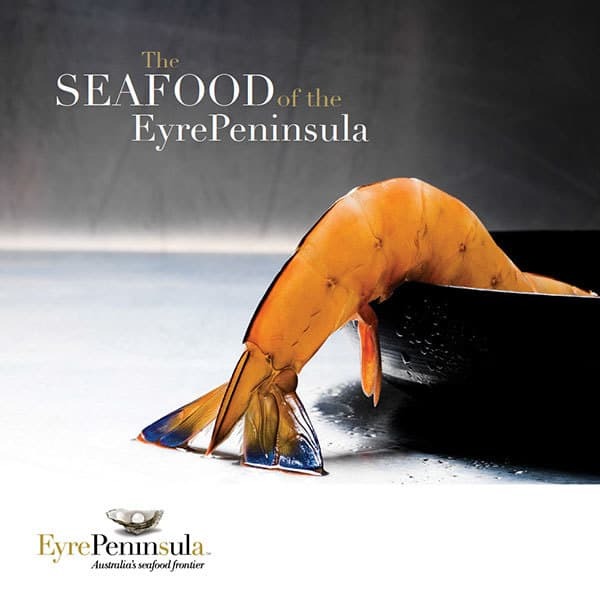 The introduction of user-friendly, convenient packaging, along with the development of a product that requires minimal cleaning and preparation, have made Eyre Peninsula mussels an option for both chefs and home cooks. Blue Mussels are a good source of iron, protein, selenium, iodine and omega-3. They exceed the recommended daily intake of all these nutrients, and are low in fat and saturated fats. Omega-3 are the ‘good oils’ that are beneficial for the heart by helping lower cholesterol. Omega-3 also has anti-inflammatory properties. Selenium is an anti-oxidant compound that fights free radicals in the blood stream. Iodine is essential for natural production of thyroid hormones that contribute to basic metabolism as well as helping your body efficiently burn calories. It is critical to remember that Boston Bay mussels are living animals and the 1kg mussel bags offer a ten day shelf-life from harvest. Contrary to urban myth, mussels that don’t open when cooked are okay to eat – sometimes they just hang on harder. Nutritional Panel for Australian Blue Mussels; Source: National Measurement Institute & Flinders University 2010.